« Arianna String Quartet: Viva Brazil! 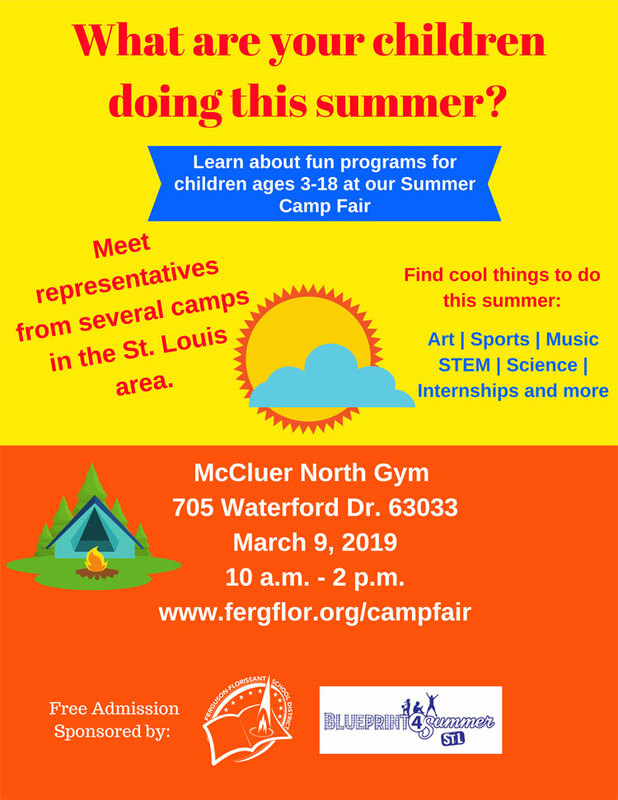 Please join Ferguson-Florissant School District and Blueprint4Summer St. Louis for the 2019 Summer Camp Fair. Parents can explore a variety of summer opportunities for school-age children at the Summer Camp Fair on Saturday, March 9, 2019. Representatives from local and regional providers will be available to talk about summer camps, programs, internships, and volunteer activities. During the fair, parents can meet program staff, pick up information and registration forms. The fair will be held from 10 a.m. – 2 p.m. at McCluer North High School Gymnasium, 705 Waterford Dr. in Florissant. The fair is free and open to all families within any school in the St. Louis metropolitan area.